The Nepali government is failing to address rampant deception and extortion in the country’s labour recruitment business, putting migrant workers at risk of forced labour abroad and leaving them with crippling debts, according to a report published today by Amnesty International. 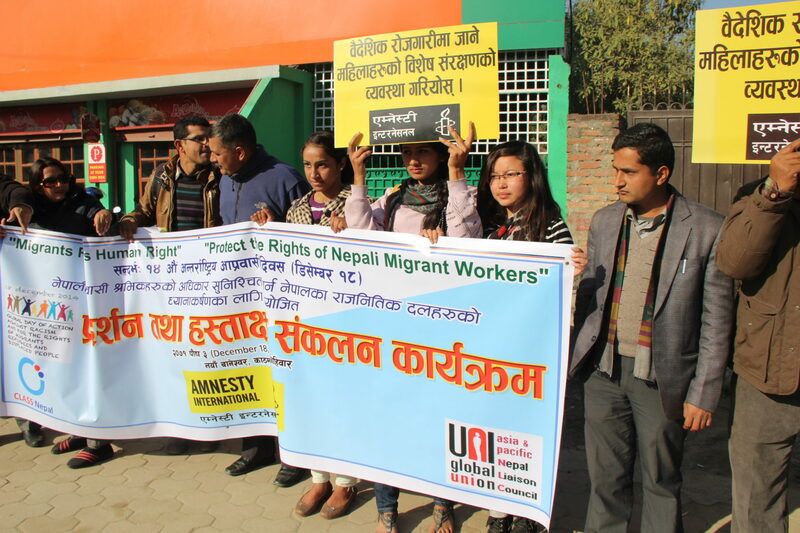 Amnesty International researchers interviewed 127 Nepali migrant workers and dozens of government officials in 2016 and 2017, in eight districts of Nepal, for the report Turning People into Profits: Abusive Recruitment, Trafficking and Forced Labour of Nepali Migrant Workers. Almost all workers the organization spoke to had been subject to some form of abuse at the hands of private recruiters.